Lots of movies will be released in 2013. Below is a list for ten among all upcoming movies in 2013. Let's take a look at them and do not miss to watch them in the theaters when they are released! Like to watch DVDs at home later? No problem and good for you to make a copy for them firstly! Use a DVD copying and ripping software to help to make copies or backup easily. Continue the popularity of Iron Man and Iron 2, no doubt that Iron Man 3 will come finally. The bad news is that Jon Favreau won’t be returning as director, but the good news is that Shane Black will, and Robert Downey, Jr. is still a commanding presence. The hitch arises if Black has to weave an Iron Man plotline into a potential Avengers sequel. Tony Stark uses his ingenuity to fight those who destroyed his private world and soon goes up against his most powerful enemy yet: the Mandarin. All due respect to The Avengers, but we go to an Iron Man movie to see a movie about Iron Man. Not Nick Fury. Oh, a long-time-no-see story - Monsters University! This is the first time Pixar would release two animation movies in the same year. Let's look forward and quality check how good the movie will turn out to be. Tom Cruise? Yes, no doubt that he is good at Mission Impossible. But others? Yes, because Oblivion is an original movie and it’s sci-fi, and it comes from Joseph Kosinski, who gave us TRON: Legacy. The script comes from William Monahan (The Departed). It is a fantasy movie about a former solider who is the last person left on Earth after a war with an alien race. When he encounters a crashed spacecraft with a lone survivor, the two set off on an epic adventure. I think the lone survivor is a woman, and they fall in love. It’s one of the many intriguing sci-fi flicks on this list. Will 2013 be the year of the Sci-Fi? It should be a movie that will be popular by kids, too! A stage magician is hurled into a fantasy world, and must use his wits to stay ahead of three enchantresses who have plans for him. This movie runs in a way like Snow White and the hunting man releaed in 2012. It is fictional. Since Oz is another classic fairy story, fans will follow this movie without doubts! A divorced couple scheme to recover the retirement money that was stolen from them. Stars: Emma Thompson, Pierce Brosnan and Timothy Spall. Emma Thompson is one of the most popular British actress all over the world. She is born to be a actress and brings brilliant performance for every character she acts. This is a gimme, the second half of The Hobbit movie that kicks off in 2012 with The Hobbit: An Unexpected Journey. The Hobbit will attract all of those Lord of the Rings fans. It also has a couple of cast members going for it that the LOTR movies did not, namely Benedict Cumberbatch (Smaugh) and Martin Freeman (Bilbo Baggins). Howerver, there’s a lot of LOTR characters in the movie that don’t belong, and despite the fact that The Hobbit was shorter than any of the LOTR movies, it’s being broken up into two films, which suggests that there may be the potential for a lot of bloat, a problem Peter Jackson had with the LOTR films. After a crash landing, a father and son explore a planet that was evacuated by humans 1,000 years earlier. Stars: Will Smith, Jaden Smith, Isabelle Fuhrman, Sophie Okonedo. Why you should see it: After a long hiatus following their supremely witty cop movie parody Hot Fuzz, Simon Pegg and Nick Frost are finally reuniting with helmer Edgar Wright for the third chapter in their Cornetto Trilogy. It'll follow five thirtysomething friends (including Pegg, Frost, Rosamund Pike and Martin Freeman) who reunite in an attempt to recreate an epic pub crawl from 20 years earlier, and end up becoming the human race's only hope for survival. 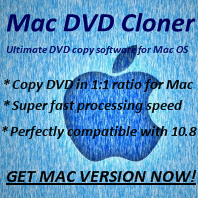 Key Features of Any DVD Cloner Platinum - Backup DVD, copy DVD, clone DVD or rip DVD on Windows OS with a few clicks!